Gladys was the daughter of Thomas Japeth Whitfield and wife Annie A Benton. Jim and Gladys are both buried in Cedar Hill Cemetery in Suffolk VA.
Jim graduated from High-School in Ahoskie. Jim was allowed to stay home and manage the farm during WW I – his brother Rayner was early on drafted by the local draft board – Cotten volunteered for the marines – and both served in France. James Ward Moore and Gladys Whitfield had no children. About Aunt Evelyne and the Great Removal: Grandmama and Granddaddy were married in May, 1925. Uncle Cotton and Aunt Evelyne were married exactly a year later in May, 1926. My father [John] was born that December. From the time of their marriage, Cotton and Evelyne lived in the Big House with our grandparents. They occupied the room over the parlor. The Great Removal took place while Grandmama and Granddaddy were in Gates County for her father’s funeral. 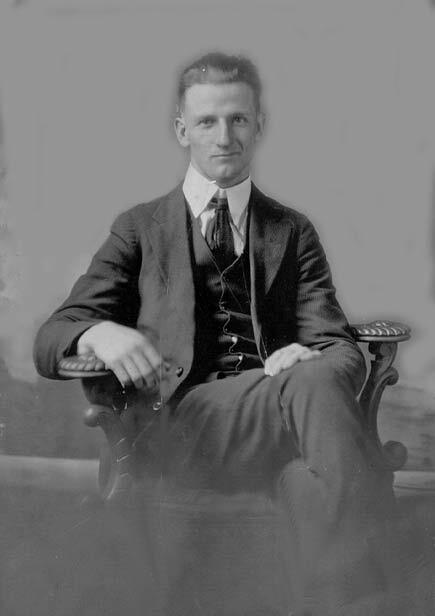 Grandpa Parker died Feb. 2, 1927. I remember hearing Granddaddy talk about this more than Grandmama. Apparently this came out of nowhere and was a complete surprise. The most important thing they took was an eighteenth-century dropleaf table from the Ward family. This had always stood in the front hall next to the parlor door. Because of this Grandmama later had a dropleaf table made out of an old writing table to go in the same place. They also took our great-grandparents bedroom suite. This was made of maple. I’m sure there were other things. Granddaddy emphasized “They took every decent chair in the house.” They first moved to Uncle Jack’s house, the place at the bottom of the lawn where the road starts to go downhill. Marjorie and little Ann Ward were both born there. The place [never finished on the inside] was so drafty that Ann Ward died of pneumonia. NEWPORT NEWS Marjorie Moore Madren, 74, of Hamilton Drive, died Aug. 13, 2001 in Riverside Hospital. She was born in Hertford County, N.C. [at Maple Lawn], the daughter of the late Arthur Cotton Moore and Evelyne Wright Moore. She retired as a school teacher from the Chesapeake Public Schools. Survivors include daughters, Carol M. Connor of Newport News, Ruth Madren of Windsor, Va., and Beth M. Jonas of Zephyr Hills, Fla.; sons, Silas A. Madren of Harpers Ferry, W.Va. and James W. Madren Jr. of Virginia Beach; eight grandchildren; three great-grandchildren; and a sister, Evelyne M. Graham. A funeral will be conducted at 2 p.m. Thursday in Sidney F. Harrell Funeral Home, Suffolk, by the Rev. Jonathan Palmer. A private burial will be in Cedar Hill Cemetery at a later date. Friends may join the family from 7 to 8 p.m. Wednesday at the funeral home. Memorial contributions may be made to the American Cancer Society, 902 Pennsylvania Ave., Suffolk, VA 23434. Evelyne Moore Graham, 83, of Suffolk, VA passed away on January 5, 2013. 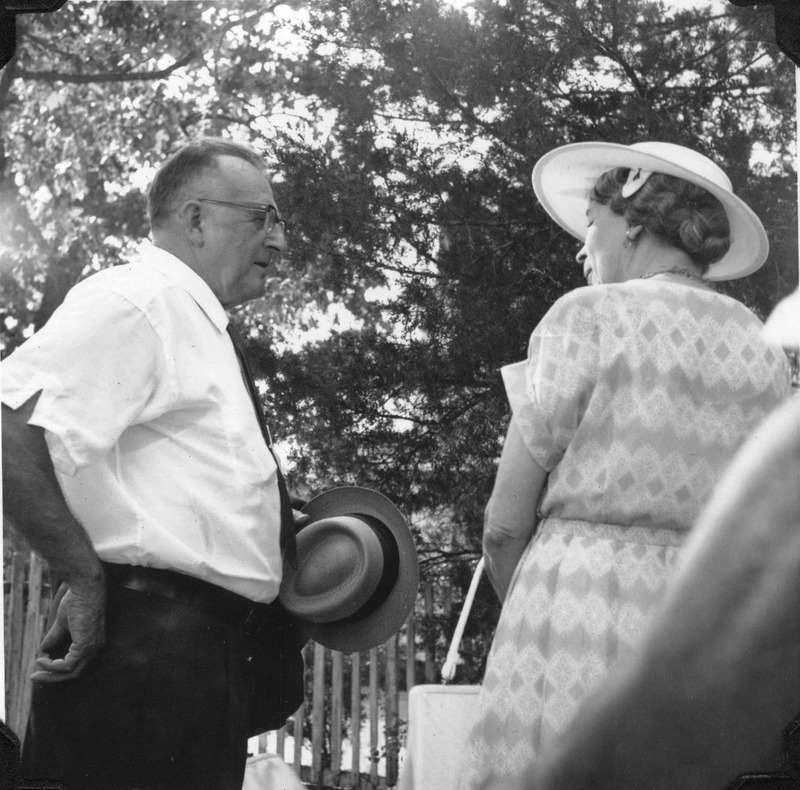 Born in Bertie County, NC, she was the daughter of the late Arthur Cotton Moore, Jr. and Evelyne Wright Moore. She was also predeceased by her husband Walter Daniel Graham, Sr., her sister Marjorie M. Madren and a daughter, Julie G. Jones. She graduated from Chuckatuck High School, received her BA from Elon College and her Master’s Degree from UVA. She retired from Chesapeake Public Schools as an educator and administrator after 37 years of service in education. As a member of Bethlehem Christian Church, she taught Sunday School and Bible School and served as Youth Choir director and youth leader. She was a member of the Adult Choir for over 60 years. She also served on numerous boards and committees including Women’s Fellowship, where she served as officer, and was an active member of the Molly Savage Circle. Evelyne was active in community activities such as Girl Scouts, Meals on Wheels, Red Cross, The Salvation Army and many other charitable causes too numerous to list. Evelyne is survived by her daughter and son-in-law Lynne G. Johnston and Darrel and by her son and daughter-in-law Danny Graham and Leigh Ann, son-in-law Randy Jones and wife Linda, all of Suffolk, VA; six grandchildren: Wesley G. Jones, Jobi L. Jones, Claudia L. Graham, Olivia A. Graham, Mandy Spivey and Randall Jones and three great granddaughters, Whitney, Tessa and Julie, all of Suffolk. She is also survived by her brother-in-law, Lewis Graham and wife Jean, of Danville, and numerous nieces and nephews. A horse rolled on top of Percy when he was a young teen; afterwards he usually walked with a limp. He was a member of Raynor and Ola’s household until his marriage in 1936. Percy could sing, yodel, and play the guitar to everyone’s enjoyment. He loved to “tramp” in the woods and “go fishing” with his bamboo poles in the swamps.